It Happened In Moscow begins with a surprise phone call to Herb and Maureen Klassen’s Moscow apartment in 1993. That call opened a Pandora’s box of secrets. Herb’s parents (C.F. and Mary Klassen) had immigrated from Russia to Canada in 1928 in the nick of time, just before the doors to exit Stalin’s Communist Russia slammed shut. Though Mary’s children knew that she was a divorcée at the time she married C.F., she rarely spoke of her early life and never mentioned her 10-year first marriage. Even Harold (her son by that marriage) only found out about his birth father at his 16th birthday when C.F. and Mary sat him down to reveal the truth. Both C.F. and Mary had since died, so many questions about Mary remained unanswered. Now the female voice on the other end of that phone call claimed she was Harold’s younger sister Erika. If this was indeed so, could Erika hold answers to the mystery of Mary’s first marriage? Did she know what had happened to Mary’s first husband (and Harold’s father)? Could she shed light on how an entire generation of Russian Mennonites had fared during that period in Russia? It Happened in Moscow is memoir—the unfolding of a fascinating family discovery through Maureen Klassen’s eyes. In 1993 Maureen and Herb Klassen were working for Mennonite organizations in Moscow and were fluent in Russian and German. These things made them the perfect recipients for the information that Erika had gleaned in her search for family. Via Erika, the family learned the fate of Jacob (Mary’s first husband) and thousands of Mennonites who were hindered from or chose not to immigrate from Soviet Russia. Maureen Klassen’s charitable depiction of the two main players in this tale (Mary and Erika) make this an uplifting and pleasurable story to read. Historically, the way it shines a light on years of religious repression under the Communists makes it an integral piece of the Mennonite puzzle. It is also a testimony to God’s faithfulness through generations. If you’re interested in Mennonite history or even just enjoy a well-crafted memoir with lots of human interest delivered in cultural detail with historical accuracy, you’ll love this book. When a wounded Syrian Christian refugee entrusts Chaplain Charles Monroe with a heavy and ancient-looking manuscript, Monroe is sure he’s in possession of something precious. Sending it to his brother Ken in the States for its preservation proves wise. Monks in a U.S. Eastern Orthodox monastery recognize the manuscript’s ancient language and, on translation, it turns out to be the letter of an early Christian, Ignatius, written to Dorothea, the daughter of Theophilus (the man to whom Luke addressed Luke and Acts). When the Syrians discover the manuscript has left the country, official Amir orders Sentry in the U.S. to get the manuscript back no matter what it takes. An injured Charles Monroe soon returns home from war. Author Donald Joiner unfolds The Antioch Testament in an epistolary style, having the monastery translators read the letter chapter by chapter to the Monroe brothers. In this way he tells the post-resurrection story of Jesus’ disciples (devoting a chapter to each). He tells where they traveled and to whom they preached, names their prominent converts, and relates how they died. These readings are interspersed with conversations between Amir and his henchman as they work on a plan to steal the manuscript and return it to Syrian soil. Joiner has done a good job of digging through ancient Roman and church history to give us a version of what might have been the fate of the twelve apostles. (I was impressed by the fierce opposition those first Christians faced from both Jews and Romans, and how steadfast and loyal the disciples were.) Joiner uses the discussion between the Monroe’s and the translators at the end of each chapter of letter-reading to introduce alternate versions of the story from tradition and underline what he feels are important points (like the Apostle Peter’s leadership of the early church). Though successful as a work of history, The Antioch Testament is, in my opinion, not as successful as a work of fiction. The story starts out strong, with some great battlefront scenes. But once we get into it, the characters are never explored and remain one-dimensional. The dialogue is stilted, with large chunks of “teaching” delivered under the guise of conversation. Even the sub-plot of the attempt to steal the manuscript feels slow-moving and wooden. However, readers who are mostly interested in ancient church history as it relates to the fate of the disciples will find The Antioch Testament rewarding. I received The Antioch Testimony as a gift from a publicist for the purpose of writing a review. As a Booklook blogger, I got a reviewer’s copy of the e-book version of this Bible. This is a review of that edition’s Bible study features, not the NIV text. This Bible’s notes (commentary study notes and translator’s footnotes) and articles do indeed focus on describing and explaining the Middle Eastern location, history, and customs of the Bible’s writers and setting. Textual articles consist of pieces longer than study notes and supplement each book. They cover a variety topics that go from delving into the history of part of the text (like “The Oral Law”—an article on the Shema, Deuteronomy 6:7), to explaining the customs and ethics of the day (like “Joshua and the Ethics of War”), to telling about recent archeological discoveries that support the biblical record (like “Hezekiah’s Water Tunnels”), and more. These were interesting and informative. There are word studies. I found these short, skimpy and disappointing in that the Strong’s Concordance number was not included. Day in the Life articles explain the lifestyle and customs of Bible peoples. Some sample topics are: “Desert Shepherds,” “Slaves,” “Widows.” Because these pieces attempt to describe and explain customs spanning the Bible’s hundreds of years, they are quite general and don’t get into subtle changes that may have occurred over hundreds of years, e.g. between the patriarchs and the time of the exile or the Old and New Testaments. There are many In-text Charts and Models. These were not all equally accessible on my e-book version. I’m not sure how they would display on different e-readers, but know that on my keyboard Kindle, many of them are too tiny to read. When they’re set up as pure text (e.g. “Ancient Texts Relating to the Old Testament”) they view just fine. However when they’re set up as graphics, text boxes or charts (e.g. “Old Testament Chronology”) the static text size, skewed spacing, and sometimes grayed graphics made them pretty well useless. Further Study Helps include a Table of Weights and Measures, Endnotes, Bibliography, Topical Index to Articles, Glossary, Concordance, and Zondervan’s Full-Colour Maps (14). As with the charts and models, some of these things were not legible on my e-reader (like the tables and maps). I liked the Glossary, that explains Bible words and concepts, and the linked Concordance, where Scripture references are accessed by clicking on a link. All in all, this Bible’s study features make it a great choice for anyone interested in learning more about the cultural and social setting of the Bible. For those getting it as an e-book, there is an article in the fore-matter on how to navigate this edition. Though my e-reader was unable to access all the Bible’s features, accessibility and usability no doubt vary with the type of e-reader or tablet. Even without access to the full menu of features, the NIV First-Century Study Bible e-book version is a wonderful resource—a wealth of information, stored in one light reader, and available at one’s fingertips. I received the e-book version of the NIV First-Century Study Bible as a gift from the publisher for the purpose of writing a review. The approaching Russian army forces people to flee from Heiligenbeil East Prussia in February 1945. Hurriedly packing belongings in a cart and hitching it to her bicycle, Gisela Cramer takes her three- and five-year-old nieces and joins Herr Holtzman and his elderly and senile spinster sisters on the wintery roads out of town in Liz Tolsma’s novel Daisies Are Forever, set in Germany at the end of World War II. Two escaped allied POWS (Xavier and Mitch) cross the path of the refugees on one of their first nights at a roadside farmhouse. In an impulsive move to protect the soldiers (dressed as they are in German uniforms and in danger of being found out as allied escapees or German deserters) Gisela calls them both by German names dubbing the British Mitch, Josep Cramer and claiming he’s her husband. Their party eventually reaches the main road where they manage to catch a ride on a military truck headed for Danzig. On that leg of the trip they meet Audra, another girl from their village and a wounded German soldier Kurt. He is instantly attracted to Gisela and decides that someday she will be his. A nightmarish train trip from Danzig eventually brings them to Berlin where the horrors continue. Gisela and her band of refugees make their way through the bombed out streets and see deserter German soldiers hanging from lamp posts on Unter den Linden boulevard. But, wonder of wonders, they find her mother still alive. The ruse of Gisela and Mitch’s marriage is soon uncovered, however, which makes Kurt all the more determined to possess Gisela. Throughout the tale Gisela grapples with guilt over deserting her loved ones in an earlier encounter with Russians soldiers. Mitch keeps hearing the voice of his father whose expectations he has never met. Kurt is haunted by the loss of his arm and the fact that he’ll never be able to play the piano again. Gisela and Mitch find strength to live through their personal challenges and the nightmare of war through their faith in God. This bleak book forced me to look at the horrors of war full in the face and at the same time, admire the courage of the people who live through it. Tolsma’s vivid writing helps us see the devastation of the war-touched landscapes, feel the panic of bombs going off all around, live the claustrophobia of crowded trains, bomb shelters, and bunkers, and experience the boredom and hopelessness of war–will this never end? Four stars because the romantic plot thread felt repetitive with the same relationship tensions and interactions between Kurt, Gisela, Josep (Mitch), and Audra occurring again and again. I also found the setting very heavy with little let-up in the everlasting bombing, rubble and despair, so that by the end, I was almost numb to it all. I received Daisies Are Forever as a gift from the publisher, Thomas Nelson, for the purpose of writing a review. Life Behind the Wall is a collection of three novella-length stories for the YA crowd. Each is set in part of Berlin in a different time period between 1948 and 1989. Book One, Candy Bomber, begins in the summer of 1948. Erich Becker, a 13-year-old Berlin resident, hates the Americans whose bombs wrecked his city and killed his father. He regularly prowls Berlin’s Tempelhof Airport, sneaking into U.S. cargo planes in search of food for his hungry mother and grandmother. He meets U.S. soldier DeWitt who is a journalist, befriends Erich, and writes a story about the hungry children of Berlin. He comes around to Erich’s house with bags of treats like canned peaches and takes Erich and his cousin Katarina up in his plane to do some candy drops over Berlin neighborhoods. Soon it becomes clear that DeWitt’s interest is in more than Erich. He wants to marry Erich’s mother and move the family to the States. Will Erich be able to forgive the Americans for what he holds against them? Book Two, Beetle Bunker, begins in 1961. Its main character, 13-year-old Sabine, is a polio survivor who hobbles around on crutches. She lives with her mother, grandmother (Oma Poldi Becker), older brother Erich (from book one), Onkel Heinz, and Tante Gertrud in Oma’s crowded flat in East Berlin. In this book we see the Berlin wall erected and are part of a daring tunneling attempt to escape from the East to West sectors of the city. Book Three, Smuggler’s Treasure, begins in 1989. Liesl, the 13-year-old daughter of Sabine and Willi (from book two), lives in West Berlin. She tries to act cool the day she and mother are stopped at the checkpoint and thoroughly questioned on their way to visit Uncle Erich who still lives in the Communist side of the city. Mother and Uncle Erich are most upset when they find she has stuffed her stockings and clothes with slim Bibles. She gets into more trouble when she digs into the family history while researching for a school project and still more when she joins some older kids in a protest at the wall. This part of the story sees the Berlin Wall come down and also reveals the mysteries surrounding Sabine’s father (Liesl’s grandfather). These stories offer a great experience of another time in history. They show firsthand the poverty, bravery, resilience, and resourcefulness of the people of East and West Berlin during the Cold War era. They are also an example of how the divided city affected families. The setting seems realistic with its atmosphere of suspicion and secrecy. Characters must be careful not to be seen with the wrong people or overheard saying the wrong things because they don’t know who to trust and who might be snitching on them to the authorities. Chapter numbers in German and lots of other German words and expressions sprinkled throughout also give a feeling of authenticity to these stories. None of the main character kids in these books are content to sit around. The stories are fast-paced and filled with adventure and danger. The age of each of the heroes (13) tells us that these books will appeal to tweens and early teens. The end of Book One has a “How It Really Happened” section that explains which events in that story actually happened. All the books conclude with a set of “Questions for Further Study” designed to deepen and broaden the reading experience for individuals or groups. As well as giving YA readers three interesting and fun stories, this book would be excellent supplementary reading for home schoolers and Christian school classes doing a study of the Cold War period (all three books are written from a Christian point-of-view). 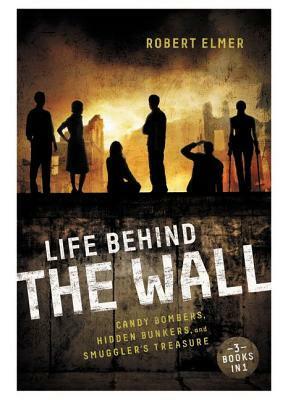 I received Life Behind The Wall as a gift from the publisher (Zondervan-Zonderkidz) for the purpose of writing a review. 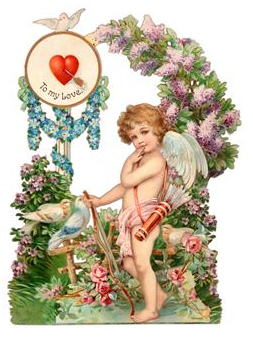 Welcome to the Freelance Writer’s Almanac for February 2014! 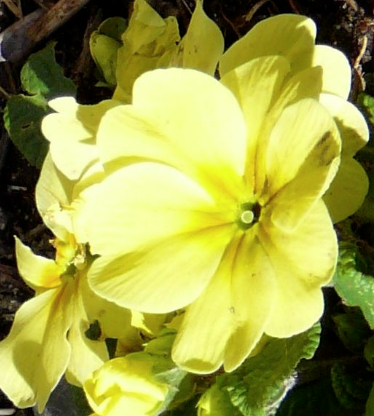 The flowers of February are VIOLET and PRIMROSE. 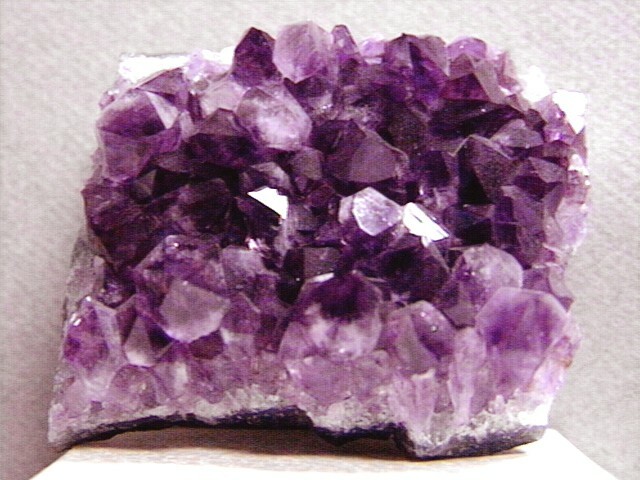 The birthstone of people born in February is AMETHYST. It means SINCERITY. 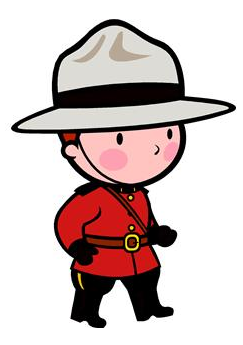 Canada’s RCMP came into existence on this day in 1920 (The Christian Almanac – TCA p. 77). George Bush & Boris Yeltsin officially declared the end of the Cold War in 1992 (TCA, p. 77). Today is the beginning of Children’s Authors & Illustrators Week (first full week in Feb. this year 2-8). The first paper money paid Massachusetts soldiers fighting against Quebec in 1690 (TCA p. 81). 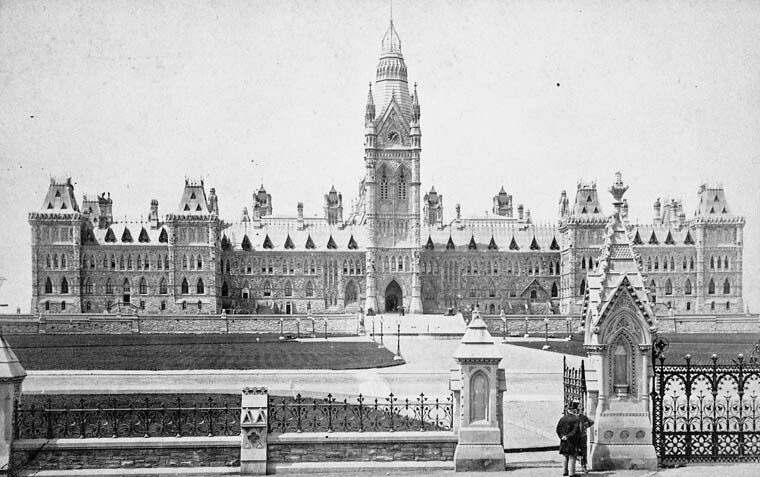 Canada’s original parliament buildings burned down in 1916 (TCA p. 81). Walt Disney released the first full-length animated film – Snow White – in 1938 (TCA p. 83). Facebook is 10 today! Mark Zuckerberg launched it on February 4, 2004 as thefacebook.com. Today the church celebrates the Martyrs of Japan, executed for their faith on February 5, 1597. King George VI died on this day in 1952. He would be succeeded by Elizabeth II who is still the reigning monarch of the British Commonwealth today. 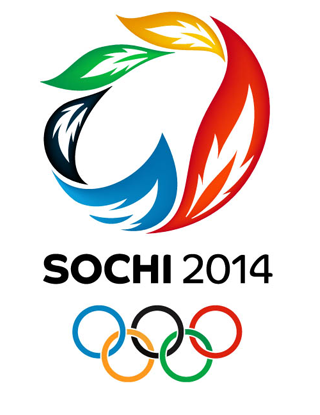 2014 Winter Olympics begin in Sochi, Russia. Laura Ingalls Wilder (writer of the Little House on the Prairie series) was born on this day in 1867 (TCA P. 89). Today is Girl Scout Cookie Day / Weekend. 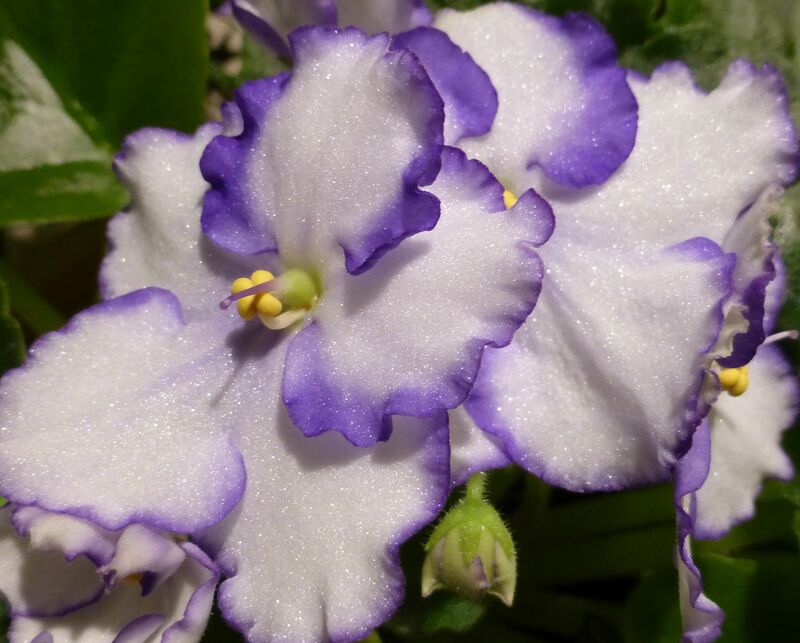 9-15 FREELANCE WRITERS APPRECIATION WEEK (2nd week in Feb.). 9-15 RANDOM ACTS OF KINDNESS WEEK. Today is the 50th anniversary of Beatles’ first appearance on the Ed Sullivan Show (1964). France ceded its Canadian provinces to England marking the end of the French Indian War in 1763 (TCA p. 95). 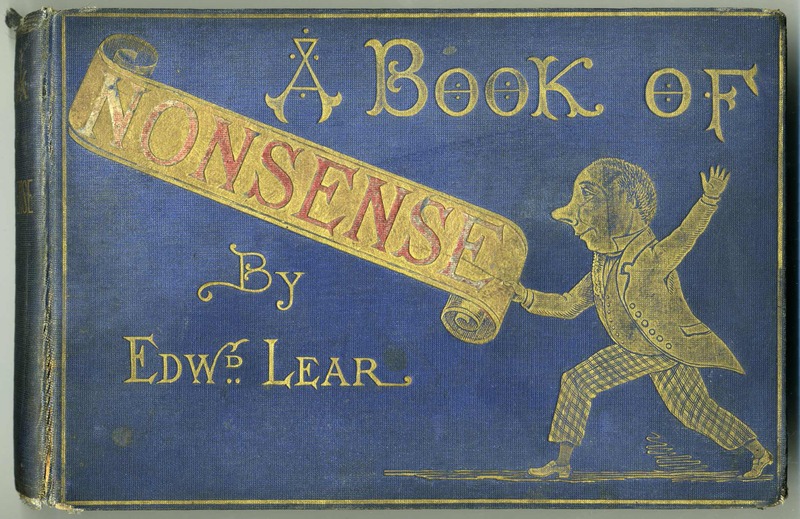 Thomas Mclean published Edward Lear’s A Book of Nonsense on this day in 1846 (72 limericks in two volumes) (TCA p. 95). Today is Family Day in B.C., Canada. Thomas Alva Edison, one of the most prolific inventors who has ever lived, was born on this day in 1847 (TCA p. 97). Charles Darwin was born on this day in 1809 (TCA P. 99). Aleksandr Solzhenitsyn was expelled from the Soviet Union on this day in 1974 (TCA p. 100). The first teddy bear was introduced in America, named in honour of President Theodore Roosevelt in 1903 (TCA p. 105). 16-23 This is NATIONAL DATE WEEK (the fruit). Today is Family Day in Alberta, Saskatchewan & Ontario, Canada. A ninth planet was discovered in the solar system and named Pluto. The discoverer was Clyde Tombaugh (1930). 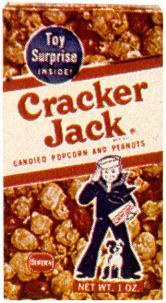 The first prize was inserted into Cracker Jack on this day in 1913 (TCA p. 113). Batman & Robin are 70! The comic Batman & Robin first appeared in newspapers around the country in this day in 1944 (TCA p. 115). The poet W. H. Auden was born in England on this day in 1905. His poems “For the Time Being,” “The Sea and the Mirror,” and “The Age of Anxiety” reflected his move toward Christianity (TCA p. 117). Billy Graham began a three-month-long evangelistic crusade in London 60 years ago today (1954) (TCA p. 119). The poet John Keats died at the age of 25 in Rome of tuberculosis on this day in 1821 (TCA p. 121). The first mass inoculation of children against polio with Jonas Salk’s vaccine began on this day 60 years ago (1954) (TCA p. 121). Wilhelm Grimm (writer of fairy tales with his brother Jakob) was born on this day in 1786 (TCA p. 123). President Ferdinand Marco fled the Philippines after 20 years of dictatorial rule on this day in 1986 (TCA p. 125). What comes to my mind when I hear about this is his wife Imelda and her legendary collection of shoes! The 3000 pair are now housed in a couple of museums (according to this Wikipedia article). 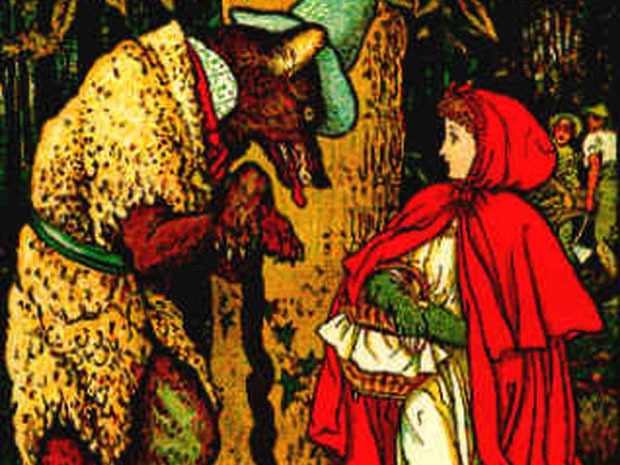 Today is National Tell a Fairy Tale Day. It is also anti-bullying Pink Shirt Day. Today the church honours poet and priest George Herbert. Corrie Ten Boom, her sister Betsy and their father were betrayed into the hands of the Nazis on this day in 1944 for sheltering Jews in their home (TCA p. 131). For kids everywhere, it’s National Tooth Fairy Day.